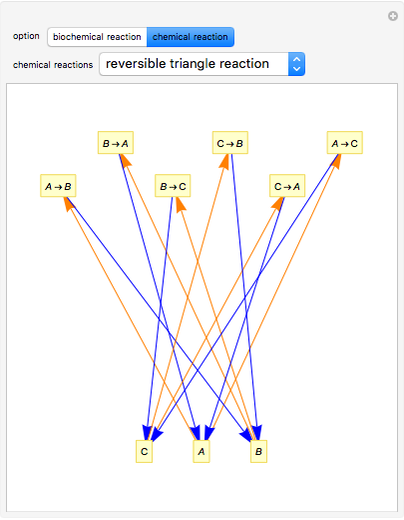 In reaction network theory, the Volpert graph is a directed bipartite graph whose vertex sets are the chemical species and the reaction steps. There is an edge from a species to a reaction step if and only if the reactant complex of the reaction step contains the species, and there is an edge from a reaction step to a species if and only if the product complex of the reaction step contains the species. 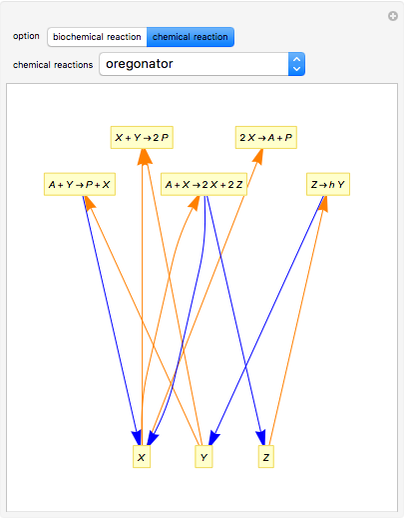 The Volpert graph turns out to be very important in theory and it corresponds to the definition of the graphs used by biochemists. 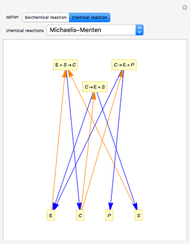 The Volpert graph of the formal reaction mechanism is the directed bipartite graph: , where the vertex set is the set , and , iff , and , iff , where and . There is no directed edge either inside or inside . 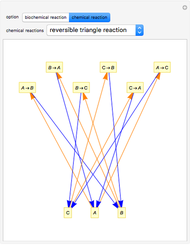 The Demonstration can also be used to analyze any other type of reaction. For more information about the formal reaction mechanism see the Descriptive Reaction Kinetics Demonstration. P. Érdi and J. Tóth: Mathematical Models of Chemical Reactions: Theory and Applications of Deterministic and Stochastic Models, Princeton: Princeton University Press, 1989. 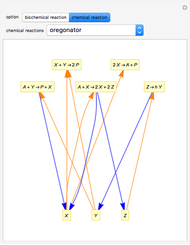 Attila Nagy "Volpert Graph of Chemical Reactions"